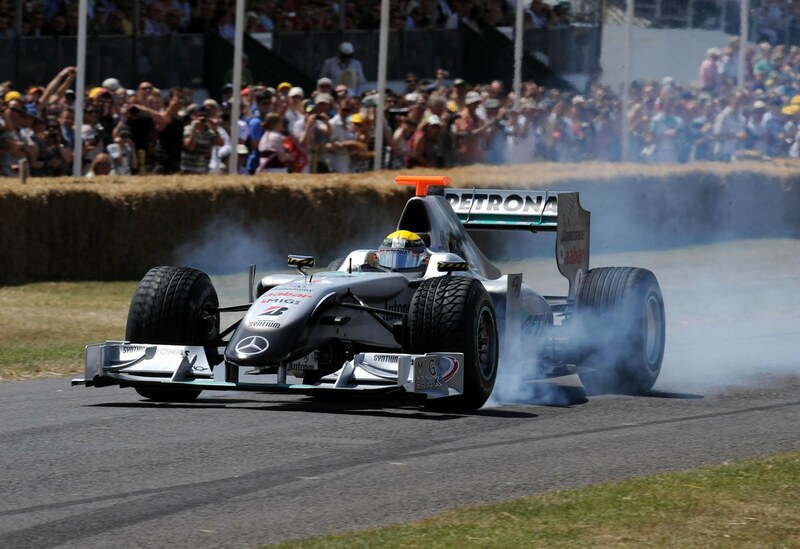 Nico Rosberg at Goodwood's Festival of Speed - you could join him! 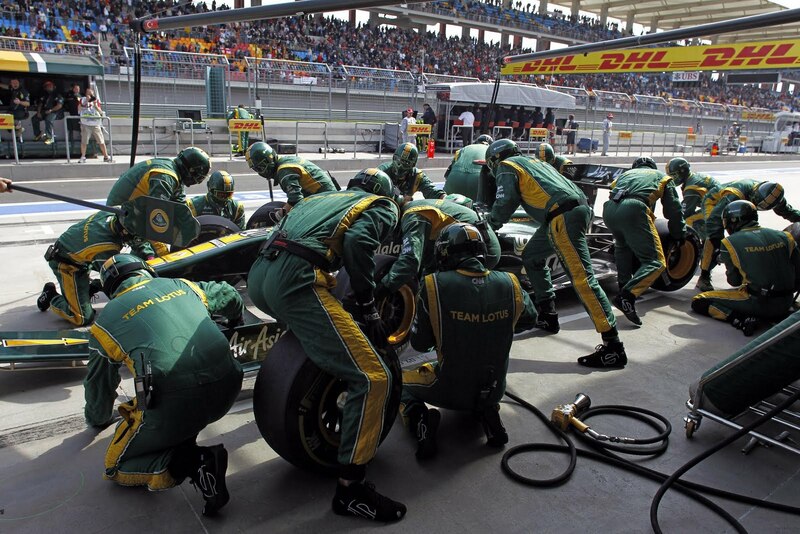 As further support of National Motorsport Week, two of the UK-based Formula One teams – MERCEDES PETRONAS GP and Team Lotus – are each inviting two members of the public to join their respective pit crews at the forthcoming events. The four lucky winners joining either Team Lotus or MERCEDES PETRONAS GP for a memorable day will be selected at random from those entering a simple competition hosted on www.gomotorsport.net website. The promotion opens today Monday 20 June and will close at midnight on Thursday 23 June when a series of competitions to win factory tours at all eight UK-based F1 teams will commence. Terms and conditions apply and are detailed on the website. Team Lotus - And one of these could be you. As fully-uniformed members of the team, two winners will join MERCEDES PETRONAS GP at the Goodwood Festival of Speed on either 2 or 3 July. 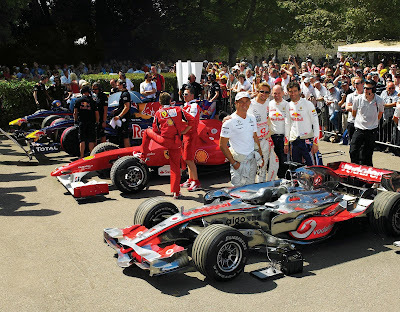 They will assist in the preparation and running of the team’s entry in the world-famous hill climb, providing an experience of a lifetime opportunity to see the operation of a Formula One team from the inside and enjoy the Festival from a unique perspective. 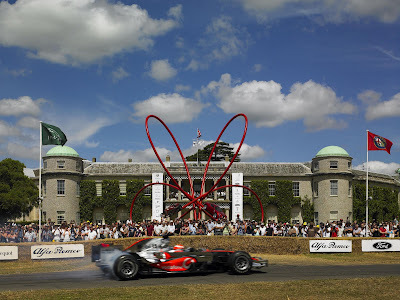 The two other winners will join Team Lotus at a forthcoming straight-line test at the Kemble Airfield, near Cirencester in Gloucestershire on either 4 or 5 July. They, too, will gain a rarely seen insight into the workings of a modern Grand Prix team. Alongside a wide range of initiatives and activities taking place up and down the country at teams, venues, businesses and motor clubs, Vodafone McLaren Mercedes will be offering its own support to National Motorsport Week. Britain’s most successful F1 team will be acknowledging and rewarding the legion of volunteer marshals who give up their time to ensure the smooth running of thousands of motor sport events staged in the UK every year. Recognising their contribution, McLaren is offering all registered marshals the opportunity to visit the state-of-the-art McLaren Technology Centre in Woking later in the year via a special competition which, again, will be hosted on the www.GoMotorsport.net website during National Motorsport Week. Goodwood Festival of Speed - Just some of the cars involved! The full range of National Motorsport Week activities – from Croft Circuit in the North East to Mercedes World at Brooklands inside the M25, from M-Sport in Cockermouth to Force India at Silverstone, from Fort Dunlop in Birmingham to Daytona’s kart centre in Milton Keynes – are now listed under the events section on www.nationalmotorsportweek.com.